Hu Jia released but 'not free' Jump to media player One of China's most prominent dissidents, Hu Jia, has been released from prison, says his wife. 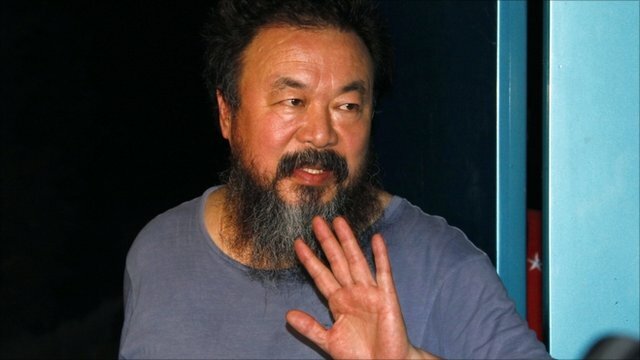 China releases Ai Weiwei on bail Jump to media player The outspoken Chinese artist and dissident Ai Weiwei has been released on bail. One of China's most prominent dissidents, Hu Jia, has been released from prison, according to his wife. Mr Hu, 37, served a three-and-a-half-year prison sentence for "inciting subversion". His term had been set to end on Sunday. Phelim Kine, a spokesperson for Human Rights Watch in New York, told the BBC that Mr Hu's release would not necessarily mean he will experience complete freedom.